Jeffrey Patt represents clients in a wide range of domestic and international mergers and acquisitions and joint ventures, as well as capital raising, corporate governance and general corporate matters. His mergers and acquisitions practice has spanned a variety of public and private transactions. He has represented financial and strategic buyers and sellers in industries that include information technology and business services, software, insurance and financial services, health care, clean energy technology, and manufacturing. 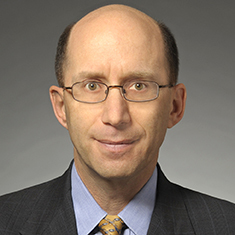 Jeffrey has served as special committee counsel in a number of going-private and affiliate transactions and he has represented management teams and executives in leveraged buyout transactions, spin-offs and bankruptcy sales. Jeffrey frequently represents entrepreneurs and high-growth companies in raising capital. He also represents institutional, venture capital and strategic investors in their investments in public and private issuers. This work ranges from early-stage venture capital transactions to mezzanine financings with equity features to private investments in public entities. A former lead articles editor for The Chicago-Kent Law Review, Jeffrey currently serves on the publication's alumni board. He is also an adjunct professor at Chicago-Kent College of Law, where he teaches a mergers and acquisitions class as part of the LLM program in International and Comparative Law. According to Chambers USA, clients say Jeffrey "finds pragmatic solutions to complex problems and convinces the other side that is the right approach." He has spoken at client and industry conferences and seminars on topics ranging from fiduciary duty and structuring considerations in mergers and acquisitions to incenting and retaining management and key employees and legal aspects of initial public offerings. He contributes regularly to firm client advisories on mergers and acquisitions and corporate governance topics, including advisories on shareholder proxy access, shareholder voting rights and pre-merger notification reporting. In 2011, Jeffrey co-authored a book on stockholders' agreements. Shown below is a selection of Jeffrey’s engagements. Representation of a private equity sponsor and several of its portfolio companies in more than 20 transactions including the acquisition of a company publicly traded in Canada, a $4 billion going-private transaction, the sale of six K-12 schools to a public company for $575 million, the sale of a specialty insurance company to a publicly traded company for approximately $100 million, the sale of a data center to a publicly traded REIT for approximately $175 million, and several for-profit education and education services transactions. Representation of a data management company in a recapitalization with venture capital investors valuing the business at up to $150 million. Representation of the investors in an $8 million B round financing of an Israeli medical diagnostic device company. Representation of an investment fund in a $25 million private investment in a public reporting real estate company. Representation of a private equity fund and its portfolio companies in more than a dozen middle market transactions including the acquisitions of a manufacturing business from a public company, an OEM from a British company and a recycling business from a publicly traded company; the consolidation of several owner-operated waste businesses; and the sale of the recycling business to a portfolio company of another private equity firm for $75 million. Representation of a private equity firm in the sale of a health care IT services company to a publicly traded company for $90 million. Representation of a consumer product company in more than $100 million in venture financing. Representation of a private equity fund in the acquisition of the assets of an industrial company from a family office for $40 million; the subsequent sale of the same business for $120 million; the acquisition of a food production business for $105 million; the acquisition of an owner-operated home health care business; and ongoing financing and corporate work for these businesses. Representation of the venture-capital arm of a publicly traded energy company in more than 20 early-stage investments relating to solar power and clean energy technology. Representation of numerous early-stage and high-growth technology companies and their founders. Representation of a UK-based education services company as US counsel in an equity recapitalization with a private equity sponsor and in more than a dozen joint ventures with universities. Representation of several insurance companies in the $360 million sale of a private health care network to a portfolio company of a private equity firm. Representation of Foundations Recovery Network in its $350 million sale to Universal Health Services. Representation of Fieldglass in its $220 million sale to Madison Dearborn Partners. Representation of a venture-backed health care services company in its sale to private equity funds for $175 million. Representation of Power Solutions International, Inc. in several acquisitions, including the acquisition of Professional Power Products, Inc. for up to $61 million in cash and stock. Representation of INTL FCStone Inc., a publicly traded financial services company, in several transactions, including the acquisition of a fixed-income broker-dealer and the acquisition of the independent brokerage and clearing business of Sterne Agee LLC from Stifel Financial Corp. Representation of a venture-backed manufacturer of electrical wire harnesses in its sale to a public company for $60 million. Representation of a publicly traded industrial company in a joint venture in China. Representation of a widely held food company in the sale of a business unit to a strategic buyer, the formation of a joint venture for the related private label business, and the sale of another business unit to a private equity fund. Representation of the management of Ardent Medical Services in the sale of the company to Ventas, Inc. for $1.75 billion. Representation of the founder and 18 percent equity holder, along with management, in the $1.4 billion sale of a packaging and distribution company to a private equity fund. Representation of the founder and 40 percent shareholder of a publicly traded call center business in the $480 million sale of the company to a private equity fund. Representation of the majority stockholder in the sale of a medical device company to a publicly traded company for $120 million in cash and stock. Representation of the management of a manufacturer of molded plastic products in the sale of the company to a private equity fund for $61 million. Representation of the founders and management of a retailer in the company's emergence from bankruptcy and the subsequent sale of the company to a publicly traded company for $57 million. Representation of the owner/operators of a health care IT consulting firm in its sale to venture capital funds for $40 million. Representation of the owner/operators of an IT transport services company in its sale to a public company for up to $18 million in cash and stock. Representation of the special committee of the board of Nuveen Investments in its $6.5 billion sale to Madison Dearborn Partners. Representation of the special committee to the board of directors of a hotel group in connection with its sale for $1.3 billion. Representation of the special committee of the board of DSW, Inc. in its stock-for-stock merger with Retail Ventures, Inc. Representation of the special committee of the board of a portfolio company of a private equity fund in a recapitalization valuing the company at more than $400 million. Representation of the board of a venture-backed managed security services provider in a sale to Nippon Telegraph and Telephone Corporation. Representation of the special committee of the board of a venture-backed entertainment company in a recapitalization by a private equity fund.